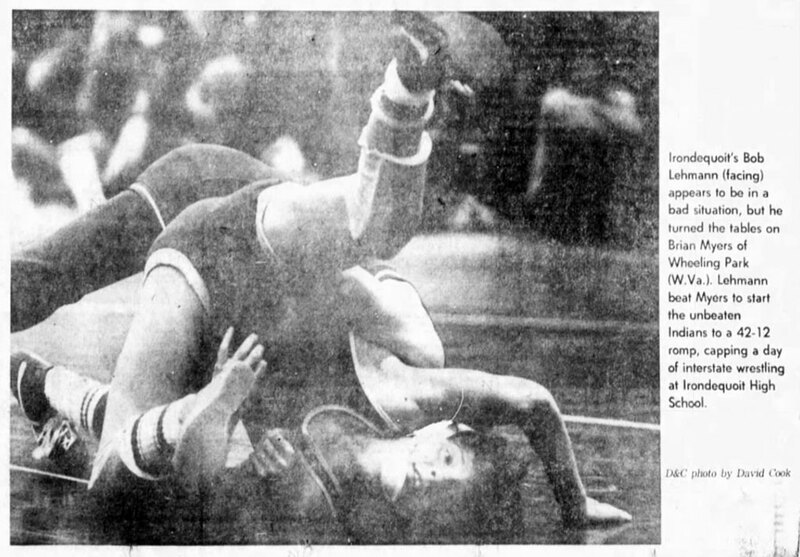 Irondequoit's Bob Lehmann (facing) appears to be in a bad siyuation, but he turned the tables on Brian Myers of Wheeling Park (W. Va.) Lehmann beat Myers to start the unbeaten Indians to a 42-12 romp, capping a day of interstate wrestling at Irondequoit High School. 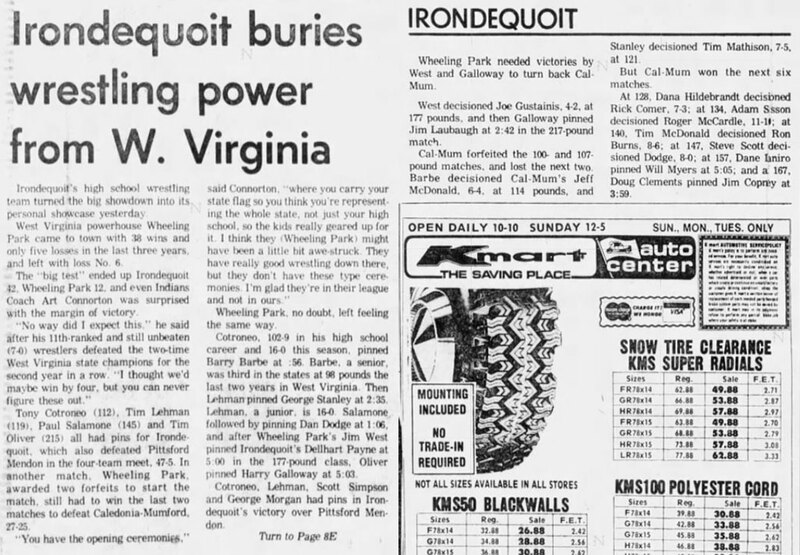 SOURCE: Rochester Democrat and Chronicle, Sunday, January 6, 1980. Reproduced by armdrag.com with permission. Click for larger image.